Among loads of happy iOS device users, there are people who come up against some kind of iTunes issues when they try to get their device synced with it. 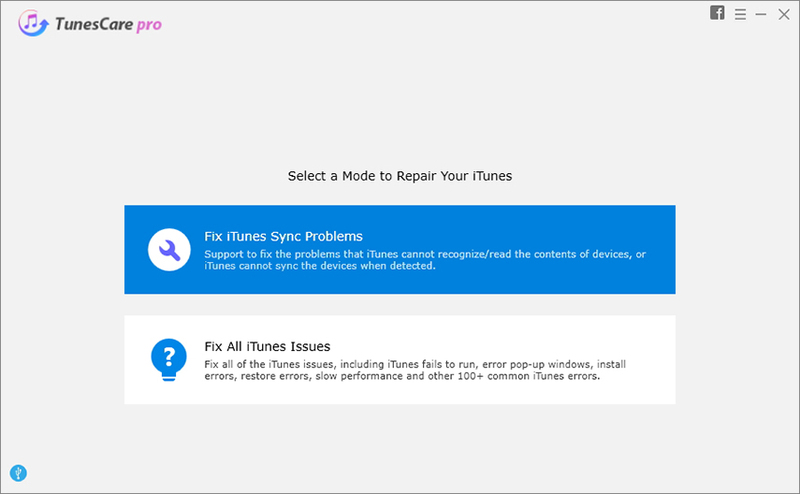 And this time, we have brought you a list of solutions for iTunes error 37. This usually happens when the users try to restore their backup. The screen of the device goes sometimes black making people unable to complete the task. If you're stuck with the same error, don't panic! You're not alone. Just continue poring over this post and you will surely get the results. Many times, the error code 37 appears due to third party security software such as antivirus and firewall. Other than this, if any sort of virus or malware gets entered into your device, it may result in error 37. Other common reasons could be network issue, improper iTunes installation, outdated iTunes or iOS, bad network connection etc. You need to follow the tips below if these are the reasons for the issues with you. If these are not, then the most possible cause is hardware malfunction. In such case, you will have to walk to Apple Store otherwise just scroll down. Whenever iTunes error 37 bothers you, don't skip this method. You should firstly try to reset your device's network settings. However, when you perform this, please note that all your settings related to networks like Wi-Fi passwords will be erased. Therefore, make a note of them before you execute this. Open 'Settings' and tap 'General' > 'Reset' > 'Reset Network Settings'. Enter the password and confirm the resetting. The next thing you need to make sure of is the iTunes version. Check if there's any new update exist in your iTunes. If yes, then go ahead for the same and install it as soon as possible since an outdated iTunes can be a big culprit for arising iTunes error 37. Go to 'App Store' on Mac and then click 'Updates'. You will get to know if there is any new update. Go ahead and download it to remove the problem. In Windows, open 'iTunes' and hit 'Help' option. Click on 'Check for Updates' now from the menu. When having new updates, follow the instructions and download it. Another quick and simple thing that can be of assistance is rebooting your device. The steps for different models vary and we are going to demonstrate each of them. Follow them and find if the problem vanishes or not. For iPhone 6 and Earlier: Start with pressing 'Home' and 'Sleep/Wake' button simultaneously. Keep doing this until you get to see Apple logo on your screen. For iPhone 7 and 7 Plus: Go with a simultaneous pressing and holding the 'Volume Down' and 'Sleep/Wake' buttons. Wait for 8-10 seconds and you will start seeing the Apple logo emerging on the screen. Just then leave the buttons and let the device reboot. For iPhone 8, 8 Plus and X: Quickly press and release the 'Volume Up' button. Quickly press and hold 'Volume Down' button. Now, keep pressing the 'Sleep/Wake' button until Apple logo give its appearance on the screen. If you are not getting the results even after trying the above resolving tips, we have the most recommended way for you. You should try Tenorshare TunesCarein order to fix iTunes error 37. This tool can help the users when they get stuck with errors related to iTunes. It has the power to work with even the latest iOS version and Windows or Mac both operating systems. Moreover, while using this tool, you will also get advantage of making your iTunes performance way better than before. Within some simple steps, you can repair a wide range of problems. Step 1 – Visit the official website of the tool and download it from there. Install and launch it later. On successful launch, click on 'Fix All iTunes Issues' option from the main interface. Step 2 – Now from the next screen, you will get to see a blue colored button saying 'Repair iTunes'. Hit on it and the program will begin to fix the issues your iTunes is having. Wait while the program is working and you will be notified that the process is complete. After providing you some of the useful solutions to remove iTunes error 37, we now feel that you will get full assistance. With this hope, we are now concluding the discussion. You can now fix this issue with some troubleshooting steps and if they are to no avail, you can use the ultimate solution i.e. TunesCare by Tenorshare. With some powerful features, it will be able to fix the problem completely. If your friends or close ones are also encountering the same issue, don't forget to share these tips with them.